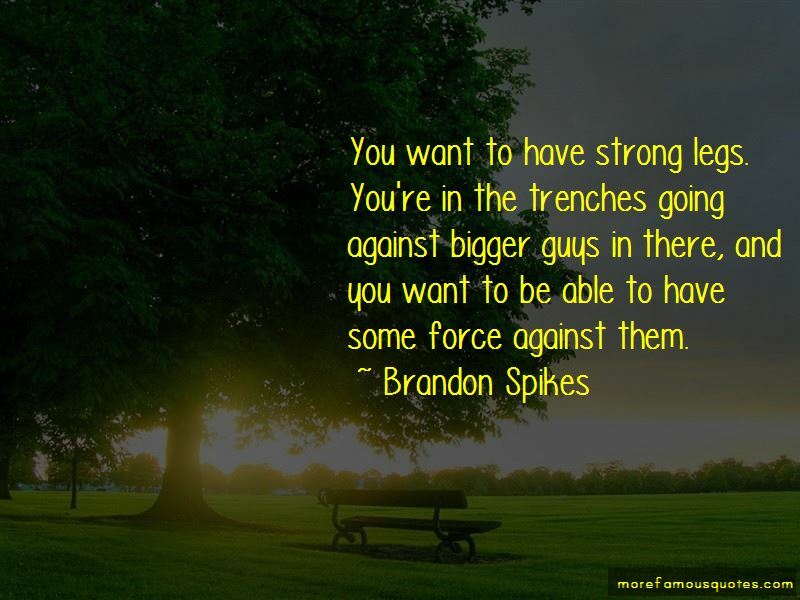 Enjoy the top 8 famous quotes, sayings and quotations by Brandon Spikes. I'm doing a lot more cardio now. I want to be able to run and run and run and not get tired, you know, be able to play at a high level for all four quarters. I like to bike a lot and do some 300s here and there. Really, I love to bike though. I like being outside and moving around, seeing the good scenery around Miami and such. Want to see more pictures of Brandon Spikes quotes? Click on image of Brandon Spikes quotes to view full size.